Evangelism is our mission. Jesus Christ came to earth on a mission: “to seek and save the lost” (Luke 19:10). He established His church in the world in order to continue this same mission. It is through the transforming power of the gospel of Jesus Christ that every life can find purpose—living in right relationship with God and others. North Cities exists to bring this proclaim this message of hope. North Cities has a rich history of ministry in the Dallas area. It all began in the summer of 1941, when Rev. J. D. Drain and his wife, Myrtle, traveled to Garland, Texas, to hold a series of meetings. After preaching for two weeks on a vacant lot, Rev. Drain felt the call to stay and establish a church. They purchased the lot and started working to build a building. In April of 1944, the first crowd gathered in the new building at 521 West Avenue E.
In the late 1940′s, Evangelist C. P. Kilgore arrived in Garland to preach a revival for the church. During this revival, the Lord gloriously blessed and 40 souls were filled with the Holy Ghost and baptized in the wonderful name of Jesus Christ. The congregation grew and plans were made to expand. In 1956, a new sanctuary was built. In 1960, a fellowship hall and Sunday school building were added. In 1990, Rev. D. G. Hargrove was elected as Pastor. The church continued to grow and plans were made to relocate. Land was purchased at 502 Belt Line Road, and work began on constructing a new house of worship. 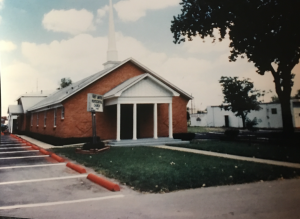 The first service was held in the new building in November of 1997. The Lord continued to bless the church at their new location. With a clear vision for evangelism and an emphasis on the supernatural move of the Holy Ghost, the church steadily grew. In 2002, the sanctuary was expanded in order to accommodate the continued growth. Since that time, the congregation has acquired additional acreage on Belt Line Road, an Annex facility on Kingsbridge, and has begun a multi-phase expansion project that will continue to serve the needs of the growing church family. 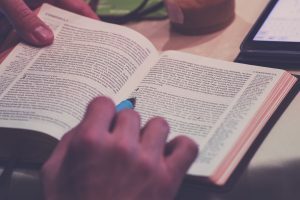 We believe the Bible is the inspired and infallible Word of God, and that it is the only authority for establishing doctrine, faith, hope and instruction for Christian living (II Timothy 3:15-17). The first and greatest commandment is this: “Hear, O Israel; the Lord our God is one Lord” (Deuteronomy 6:4; Mark 12:29). We believe this one true God has revealed Himself as our Father in creation, through His Son Jesus Christ in redemption, and as the Holy Spirit in regeneration (I Corinthians 8:6; Ephesians 4:4-6; Colossians 2:9; I Timothy 3:16). The gospel is the good news that Jesus Christ died for our sins, was buried, and rose again. Our response to the Gospel is to identify with His death, burial and resurrection through repentance (death to sin), water baptism in the name of Jesus Christ (burial), and receiving the gift of the Holy Spirit (resurrection) (I Corinthians 15:1-4; Acts 2:4, 37-39; Romans 6:3-4). The prophet Micah declared, “He hath shewed thee, O man, what is good; and what doth the LORD require of thee, but to do justly, and to love mercy, and to walk humbly with thy God?” (Micah 6:8). We believe that Christian living consists of doing what is right, compassionately serving others, and pursuing a relationship with God. We believe in covenanting with a community of believers through a local church assembly. It is through the ministry of the Church that believers are strengthened in their faith and find opportunity to serve others. When believers gather together for worship, they can expect the presence of the Lord to be there and for the supernatural gifts of the Spirit to minister (Mathew 18:20; Mark 12:28-31; II Corinthians 7:1; Hebrews 12:14; I Corinthians 12:8-10).